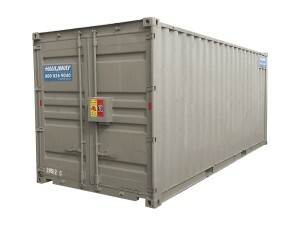 Haulaway Storage Containers is the best source of Conex Containers Phoenix, Arizona. We supply durable, affordable construction storage solutions throughout the Western United States. Haulaway delivers and picks up high quality, heavy gauge steel conex shipping container and roll off storage options in the greater Phoenix area and beyond. We offer flexible, secure on-site storage solutions for projects of all sizes and types. Whether you need a single container for temporary storage during a minor residential remodel, or many containers for a multi-year construction project, Haulaway is here to help. When it comes to construction storage, many things must be considered. Above all, safety and security are paramount to protect site workers and property. Haulaway carries a wide range of storage container sizes, but all offer high quality locking mechanisms to keep your tools and materials secure. All of our storage solutions offer easy ground-level access to reduce slip, trip, and fall hazards. Conex containers are designed to be durable enough for long term transport. They are also perfectly suited to Phoenix area commercial and residential construction projects. Haulaway Storage Containers supplies Conex Containers to the Phoenix area from our two Arizona locations. Our Phoenix location is conveniently located at 3515 East Illini Street. Most local orders are filled from this location, but we also operate from a center just 3 hours away in Yuma, Arizona. This allows us to supply you with the Conex shipping container and other storage solutions you need for any size project, while maintaining great customer service. Contact us today by phone, online chat, or request a quote online.